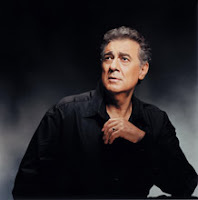 * Plácido Domingo withdrew, mid-performance, from the Metropolitan Opera’s production of Die Walküre on Tuesday evening. He was replaced by Gary Lehman in the role of Siegmund, the Met said. According to the NY Times, Mr. Domingo advised the staff before the performance that he was not feeling well and a curtain announcement was made that Mr. Domingo would perform in spite of this, but Mr. Lehman was put into costume and makeup as a backup. He stepped into the production right away when Mr. Domingo withdrew about 40 minutes into the performance. The Met said that Mr. Domingo had recovered and was traveling to Paris to prepare for Cyrano de Bergerac. * In the more than four decades that he has worked with the Cincinnati Symphony Orchestra and three decades since the Cincinnati Pops was founded, conductor Erich Kunzel has made the Cincinnati Pops somewhat of a household name. Last summer, he led the orchestra in concerts at the Beijing Olympics, the only American orchestra invited to do so. On Wednesday, the 74-year-old Kunzel was diagnosed with pancreatic, liver and colon cancer and will be undergoing chemotherapy treatment in Cincinnati. “It was totally unexpected, out of the deep blue sea. We got it early, but it’s still there,” he said. “The pancreas is the deadliest of all cancers.” He said that because his father died of colon cancer, he had frequent colonoscopies, and had received a clean bill of health just 15 months ago. “So this happened very quickly,” he said. Kunzel will begin chemotherapy treatments in Cincinnati on May 11, after he has conducted the Pops’ season finale concerts with vocalist Sandi Patty during Mother's Day weekend.